In radar systems, energy from a pulse or other signal is radiated and a radio wave returned in response to the radiated signal is analyzed to determine location or other information of targets from which the radiation is reflected. Accordingly, radar detection equipment must provide accurate information of the returned radio wave. A radar system may have a coherent or a non-coherent receiver. In a receiver using coherent detection, local oscillation is arranged to be synchronous with the signal produced by the transmitter that is radiated by the radar system antenna. Coherent radar detection utilizes both the magnitude and phase of the returned signal to extract target information. More information can be found here. In contrary to the described method, the coherent receiver has the common clock, so that the combined signal could be used to decode or demodulate the signals. 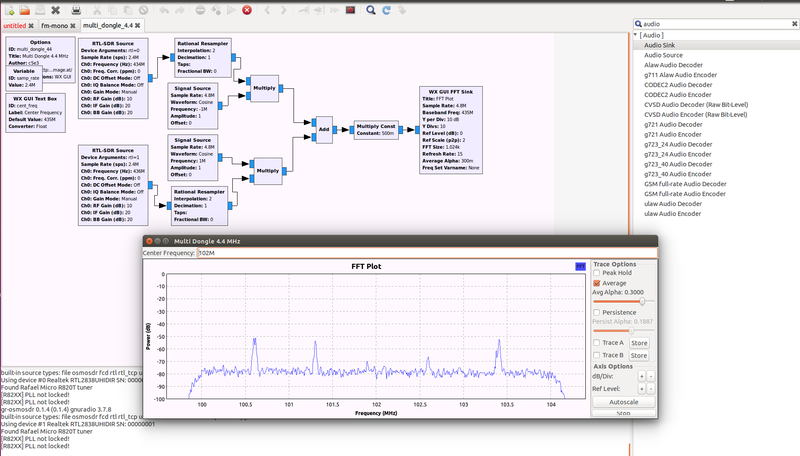 Please note, that all signals have to be synchronised before addition (see https://coherent-receiver.com/products/coherent-receivers/rtl-sdr-extension-card/noise-source for more details). Coherent averaging method (also known as time-synchronous averaging) is used to increase the signal-to-noise radio (SNR). The technique is very well described in the book of Richard G. Lyons “Understanding Digital Signal Processing”, chapter 11. The achievable results can be summarized as follows. where N is a number of receivers. You can make all types of the coherent averaging experiments using our coherent receivers. 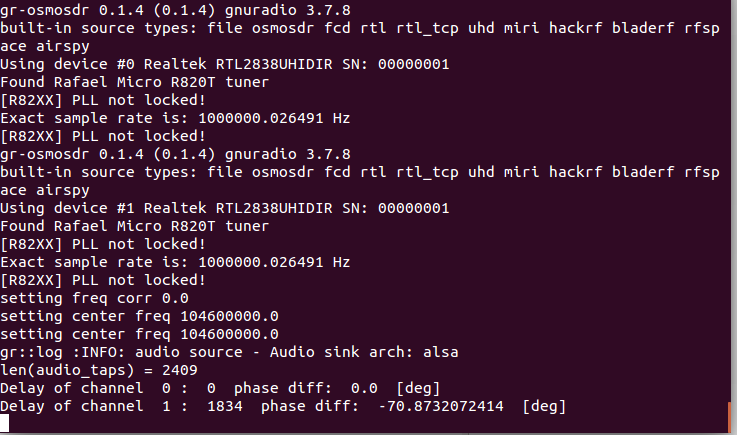 Piotr Krysik has developed a GNU Radio block “Multi-RTL”. 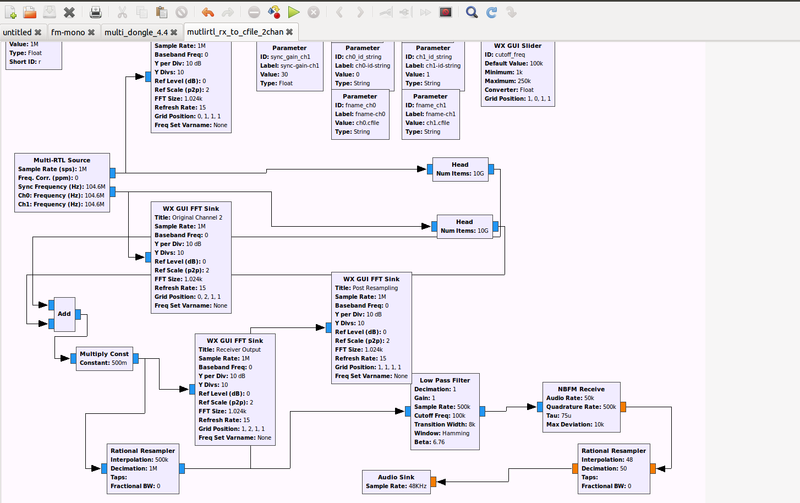 Moreover, the user Fabio writes in the RTL-SDR blog following comment: “Using multiple receivers could be interesting also to perform noise reduction. Combining samples over the same band could reduce the Gaussian Noise. Filtering out the signal from a reference receiver with the RF input terminated with a dummy load could be used to reduce system noise. Filtering out the signal from a reference receiver with reference antennas could be used to reduce other site specific noise. Would be nice to have such alternatives explored in a dynamic way, where you can trade sensitivity and bandwidth on the run.” Indeed, that can be very interesting experiments that we could make in the future. The resulted sound was without delays or reverberations. Very nice introduction to the beamforming techniques using more sophisticated receivers.